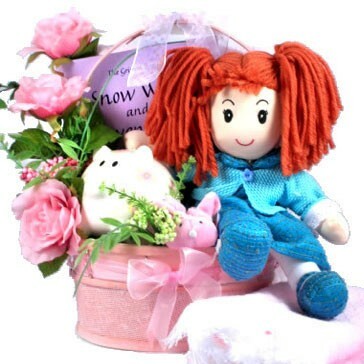 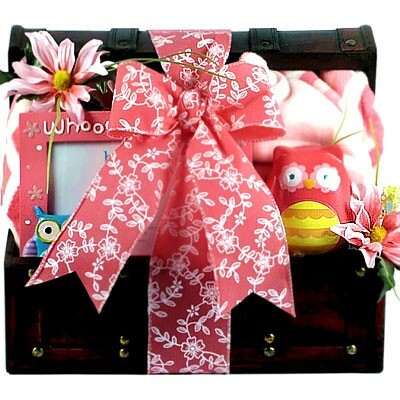 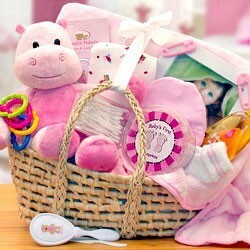 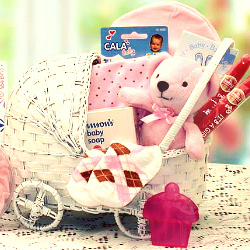 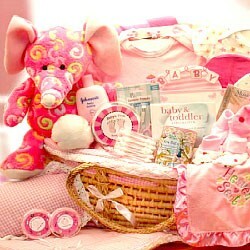 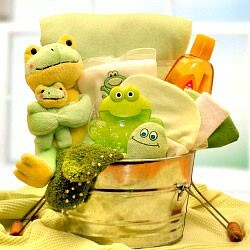 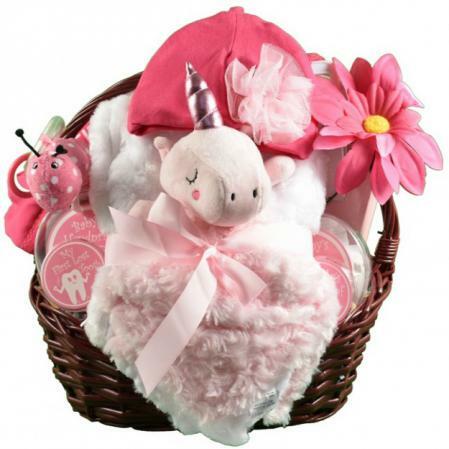 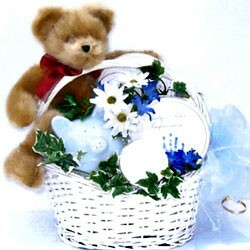 New Baby Welcome To The World Gift Basket, available in pink or blue. 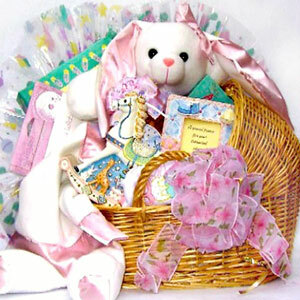 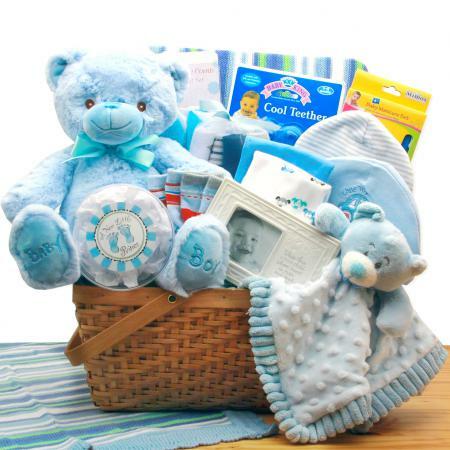 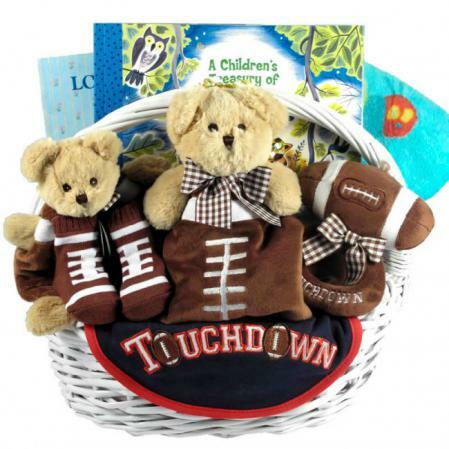 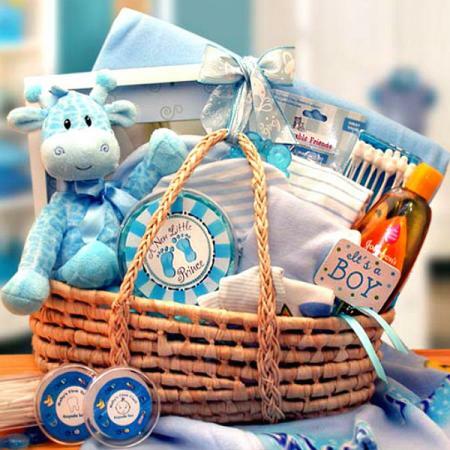 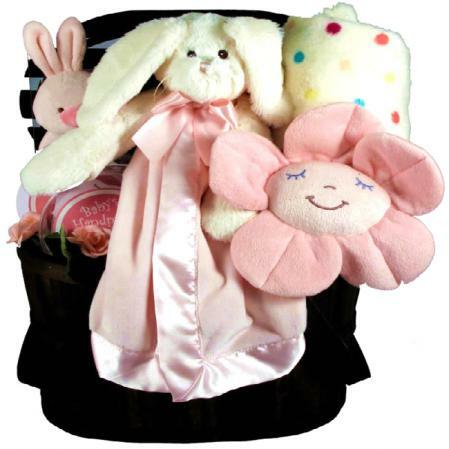 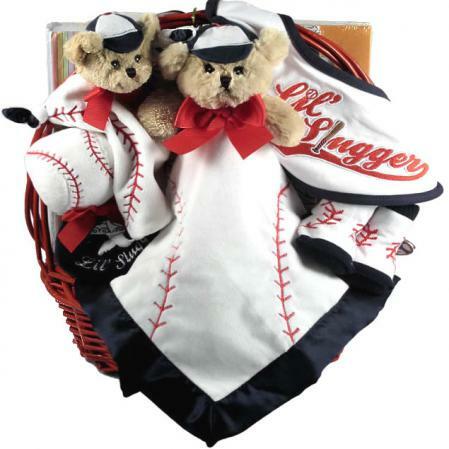 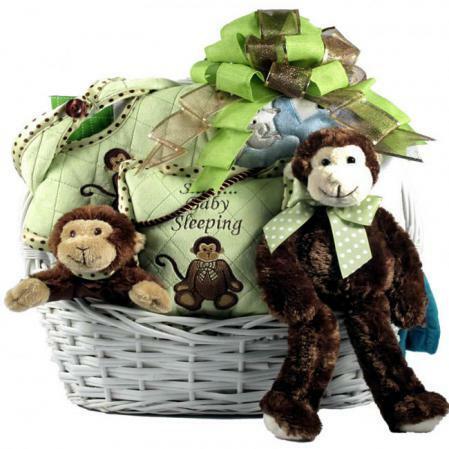 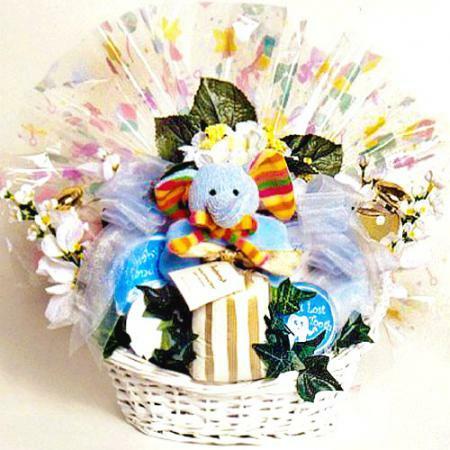 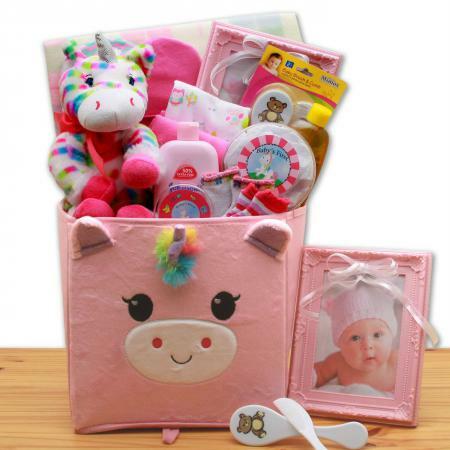 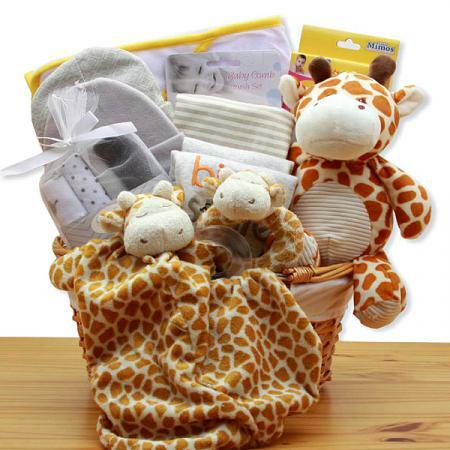 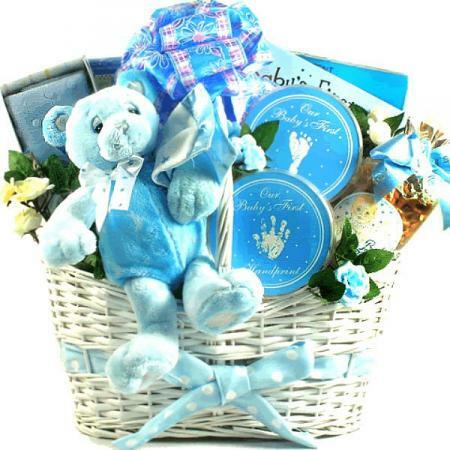 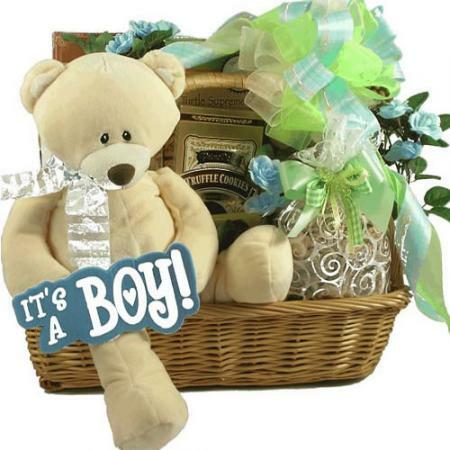 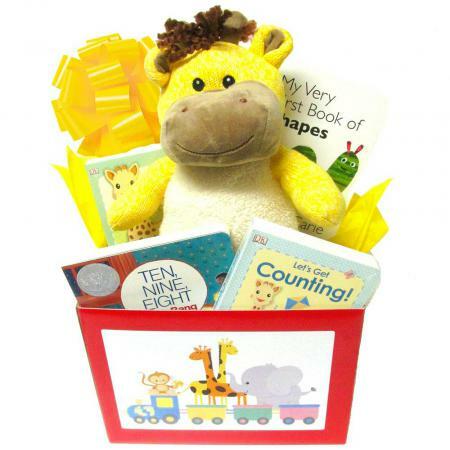 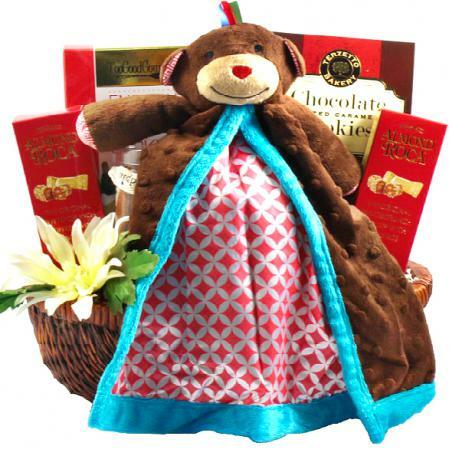 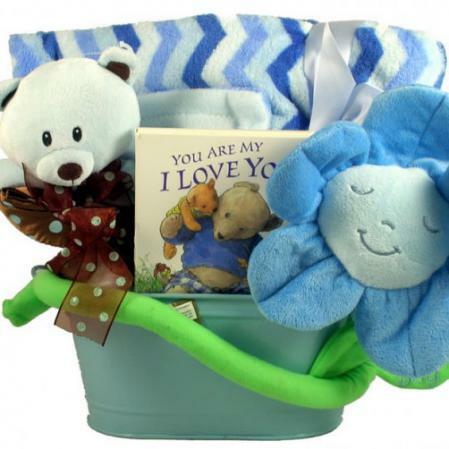 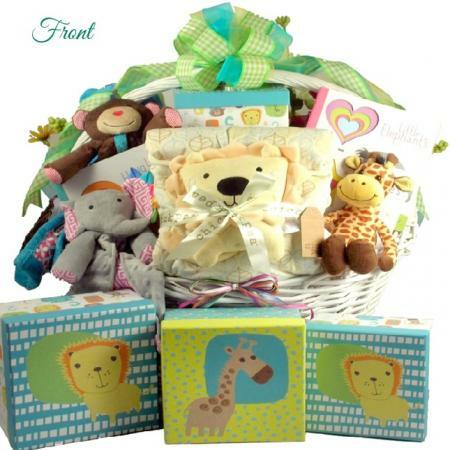 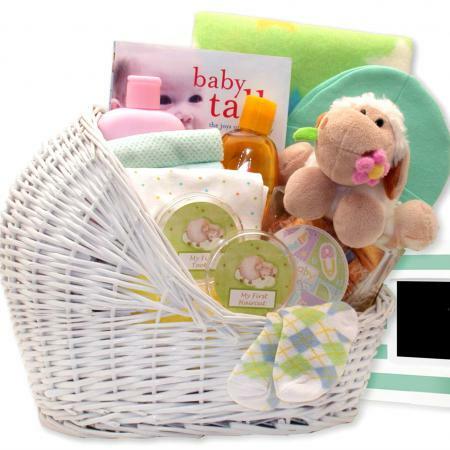 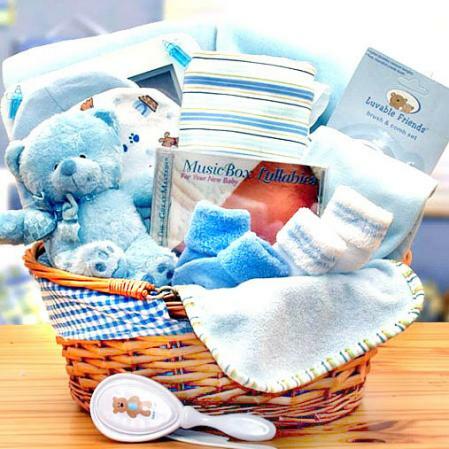 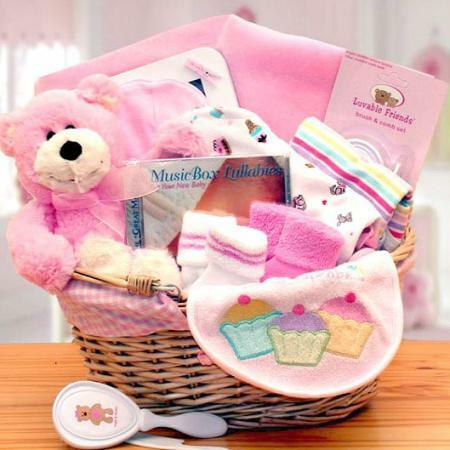 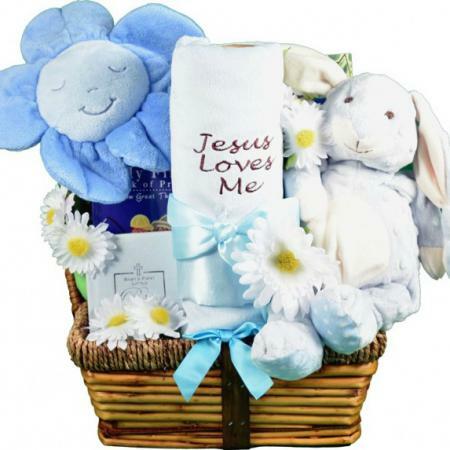 Send this beautiful baby gift basket filled with plush bear, embroidered blanket, hardcover baby book and more new baby gifts. 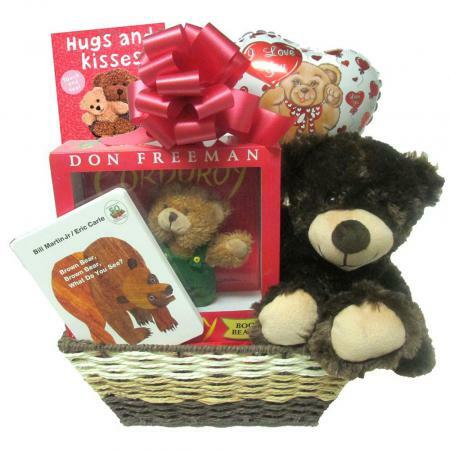 Add A Big Brother / Big Sister Bear - Want to make sure that an older sibling feels special too? 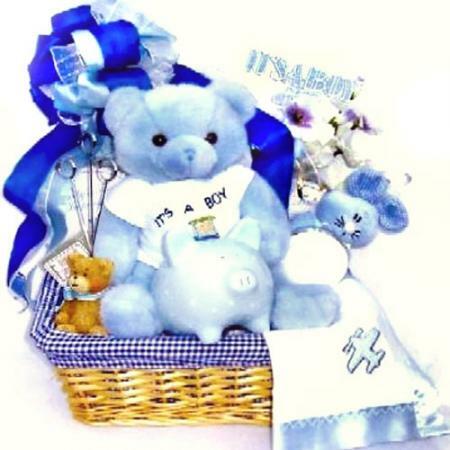 What better way than to add a Big Brother Baxter bear or a Big Sister Betty bear. 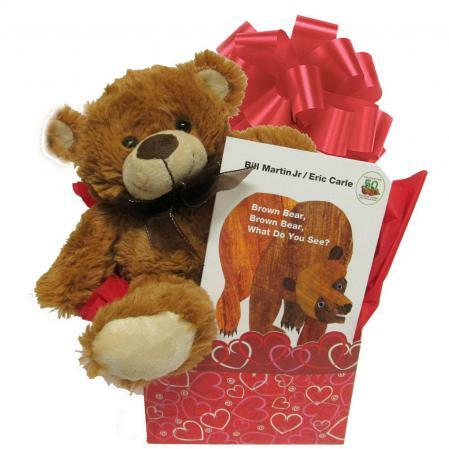 These adorable plush bears are an excellent way to ensure older kids don't feel left out when the new baby arrives. 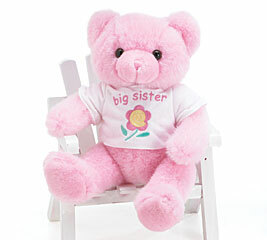 Use the drop-down menu at checkout to order big brother or big sister bears and to select a color. 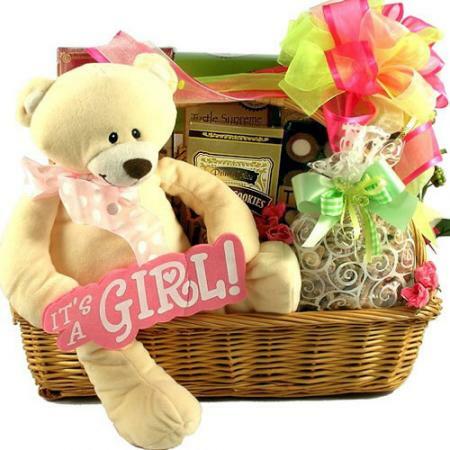 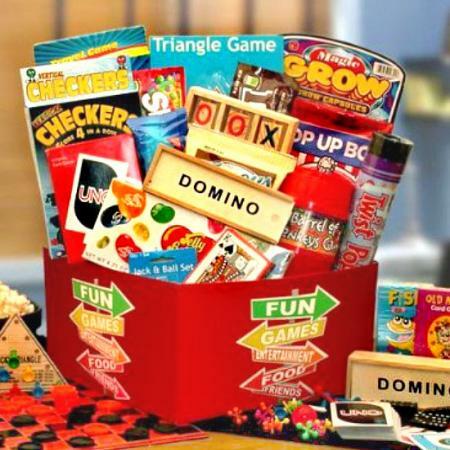 You MUST click recalculate or update to apply your selections.